Everyone is always wanted to hide their personal photos and videos from unknown person or friends while they give their phone to them. 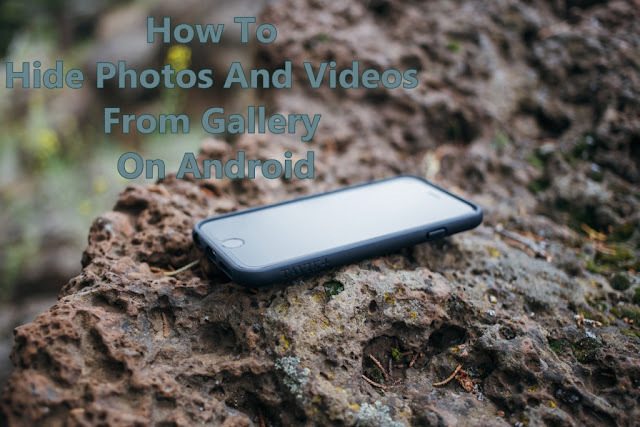 For Hide Videos and photos there are tons of Applications Available in android play store but the thing is some of apps you used are shown in Your app list so someone easily recognize that you are hiding something from them but in this post i will teach you how to hide videos and photos from gallery Easily without help of any application. Step 1 - First select the videos and photos which you want to hide. Step 2 - Now Move this selected items to Newly created or empty Folder in your SD card. Step 4 - That's it, Now you will not found those Pictures and videos in Gallery. Step 5 - To See the Files on your sd card, Go to the settings of File Manager and Turn On the option Named "Show Hidden files". Them you will be able to see this folder in your sd card.